I think it’s no secret that Dior Homme is one of my favourite masculine fragrances and my love for it is possibly due to the fact that it isn’t particularly ‘manly’ in the traditional sense of the word. Using a strong and powdery iris note that is reminiscent of old make up bags, Dior (and more specifically, perfumer Olivier Polge) created a perfume that celebrates the modern man who is in touch with his feminine side. It is nothing short of a masterpiece and easily one of the greatest masculine fragrances of our time. 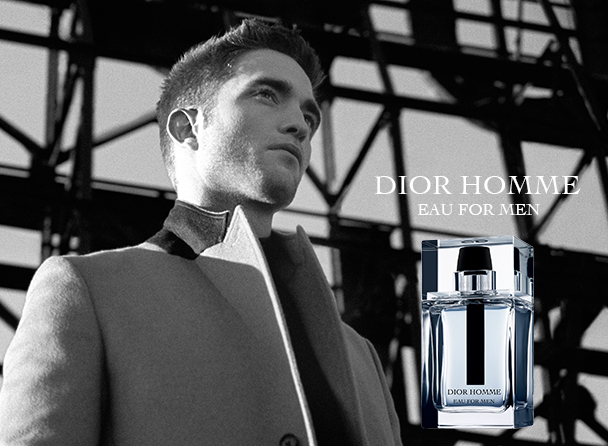 For 2014, Dior have launched Dior Homme Eau for Men, a lighter and more urban interpretation of the original. What’s interesting about this new Eau de Toilette is that it manages to be lighter in concentration and in character without dumbing down the olfactory profile of its forbearer. If you would like to read my full thoughts on the new launch, please click here to head on over to Escentual. Let me know what you think of the scent whilst you’re there! Image via Escentual. I write for Escentual.com as their Fragrance Expert. I am affiliated however, my views are my own. Posted in Christian Dior, Escentual, Flanker, Masculine and tagged Dior, Dior Homme, Dior Homme Eau for Men, Escentual, Flanker, Masculine Fragrance, Perfume Review. Bookmark the permalink. I ABSOLUTELY LOVED your review of Dior Homme Eau for Men. I have a small bottle, have not yet opened it [WHAAAA!] I know, I procrastinate, but nonetheless now being Spring, I will open it; however, it sounds like Eau for Men is on the cooler side of iris, like The Different Company Bois d’Iris not warm and dewey like Yves Rocher Secrets D’Essences Iris Noir [which I have and love to wear for Spring]. Eau for Men has not gotten a lot of love out in the blogosphere from other reviewers, but glad to see you like it and some magazines do to. I look forward to opening Dior Homme Eau for Men and enjoying it…thank you for the review. They’ve definitely done the original justice and you’re right in thinking that the iris is on the cooler side. Given the choice, I’d still pick up my original Dior Homme (which may raise questions as to the necessity of this edition, but ho hum) but they’ve certainly done a good job with ‘Eau’. Much better than they could have done, anyway. Let me know how you get on with your bottle! Haven’t tried this one yet – will do now thanks to your reviews, but I’m sure it’s not going to be better than Dior Homme – hard act to follow. I have to say the last time I sprayed myself silly with it (DH) was at Gatwick and the sales assistant looked mortified and assumed I didn’t speak English and directed me to the female perfumes. LOL. It is definitely a tough act to follow, you’re right there. They’ve done a decent enough job with it, though. Don’t you just hate it when that happens? I’m always in the situation where an SA is saying “you know that’s for women, sir?” and I always respond with a smile and a “I know”. Dior Homme is entirely unisex to my nose! Glad to hear they’ve done this ‘eau’ some justice (I too don’t like my belov’d DH messed with.) It’s sounding far better than I expected at least. … However, your mention of ‘herbaceous’ in context of the ‘coriander’ is a possible red flag for me. Does this mean they’ve used coriander LEAF rather than SEED, which is what I was under the impression it contained ?? (As that would be a big no-no for me – tho’ I rather like the scent of the seeds.) … Or am I just reading your ‘herbaceous’ incorrectly here ?? As to my nose at least coriander (the seed) is more on the kinda ‘spicy/dusty/woody’ side than actually ‘herb-y’ as such. Or are there also other notes that add to it’s ‘herbaceousness’ you mentioned ?? I says what I means, Julz :-P. It’s on the leafier side rather than the seed, which as you say is an entirely different beast together. It’s not a particularly strong facet, admittedly. Oh NO, not what I wanted to hear. 😦 With all their talk of ‘Crimean’ coriander & even close-up pics of the seeds on their website, I really thought I’d nothing to fear. Rather liked the idea of a fresher\cooler DH for the summer, but it seems best I steer well clear of this one. Even if only subtle as u say, am pretty certain my shnozz would detect any amount of cilantro, that’s how much I detest the stuff. So thanx for that !! Do still give it a go. I think it’ll be the fresher/cooler DH you wanted for summer.